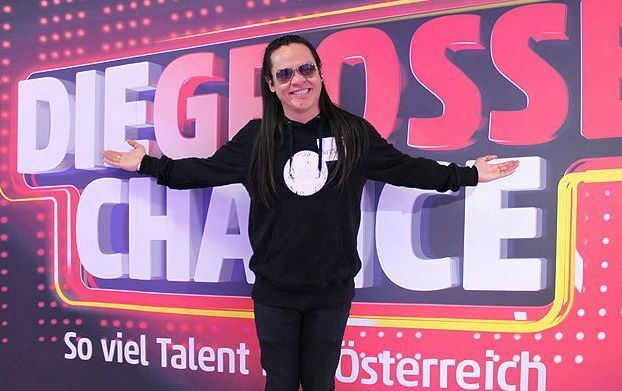 Austrian-based Filipino singer Anthony Agpas made it to the finals of top rated Austrian television singing competition, 'Die grosse Chance' (the Big Chance). Agpas' performance of Rod Stewart's 'I don't want to talk about it' gained him plus points from all four judges. "I am so fascinated with your voice. I personally asked the televiewers to vote for you! You are really a great talent," said one of the jury, Karina Sarkissova. "We are very much thankful here in Austria that the Philippines did not only send wonderful nurses here but also talented singers like you," one of the judges commented. Peter Rapp, also a showmaster, and one of the judges personally selected Agpas to be one of the finalists. "You were perfect tonight and I think you are worthy to win this competition," Rapp said. But Agpas would not have reached the finals without the support of thousands of Filipinos in Austria who have been following him since he made it to the semi-finals. Filipinos created a number of Facebook pages and in various gatherings, called for the public to vote for the Filipino singer. Austria's lone Philippine news-magazine, Austro-Asian Press likewise asked for support in any way possible for Agpas. The paper said Filipinos are united in their campaign to vote for Agpas. "I heard him singing. He's good! Hope he'll get many votes also from the non-Filipino community. Good luck, Mark! We're proud of you!" said his Pinay fan, Florencia Olivia-Steiner. Before the live show, Agpas appealed for support from the global Filipino community, through ABS-CBN News. "Ang mga kababayan natin talaga ang pag-asa ko kasi, maski gaano ko gagalingan ang pagkanta at performance pero kung wala naman susuporta ng mga kaibigan, yari pa rin ako," he said. The final show will start on November 11 where Agpas and eight other contestants will present their talents in several show appearances. Contestants are selected via Televoting or SMS.